Wohlsen Construction Company is pleased to announce Benjamin Perez, Jr. of Manchester, CT has joined the team as MEP Field Coordinator. In this role, Perez will work with Wohlsen’s Connecticut project teams to coordinate the mechanical, plumbing, fire protection, and electrical aspects of projects throughout all stages. He comes to Wohlsen with three decades of construction experience, having served in various leadership positions for a variety of successful projects. 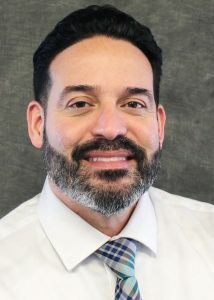 Perez completed his Heating and Cooling Mechanic, Warm Air (D-2) Apprenticeship with Build Connecticut, and holds a Project Management Certification from the Construction Institute at the University of Hartford. He also completed a Sheet Metal Apprenticeship at Ella Grasso Tech. Perez holds a Master Sheet Metal Worker License with the State of Massachusetts, and is OSHA 30-Hour-certified. Prior to his career in construction, Perez served four years with the US Marine Corps.